Odisha proclaims a glorious historical and cultural lineage spanning 2000 years. The history and culture of Odisha is in many ways distinct from those of the northern Indian states. The word Odia is in fact an anglicized version of Odia which in turn is a modern name for the Odra or Udra tribes that inhabited the central region of modern Odisha. 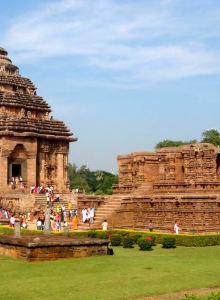 In ancient times Odisha was the regal seat of political power being known then, by the name of Kalinga. It was a major seafaring nation that had strong trade links with most of the sea ports of the Bay of Bengal.